Mandarin ducks were called birds of love in ancient China. Paired mandarin ducks are as close as body and shadow. They fly together, swim together and sleep with their necks crossed. They pair for life. The bird will remain single if his or her mate dies. Because of this, mandarin ducks have become symbols of marital fidelity in Chinese paintings. People usually present paintings of a pair of lovely mandarin ducks sporting in water to a newly married couple by way of wishing them perfect conjugal bliss. In Asian Decor Mandarin Ducks bring “feng shui” love. Chinese mandarin ducks painting intensifies good fortune and brings recognition luck and respect. Zhao Mengfu has been honored as an early master within the tradition of the literati painters, who sought .. 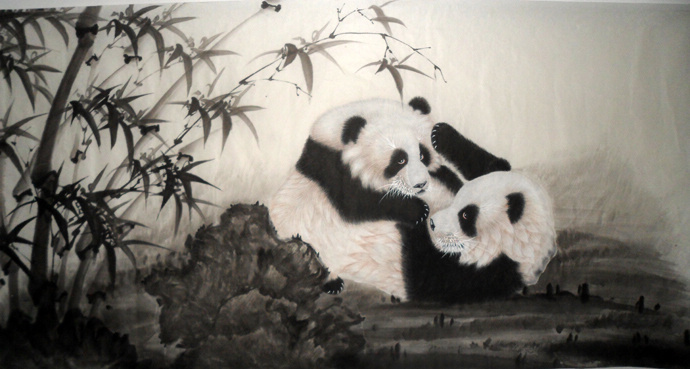 The Giant panda seems as elusive in art as it has been in nature. In early Chinese Art, ..
Landscape painting is traditionally at the top of the hierarchy of Chinese painting styles. 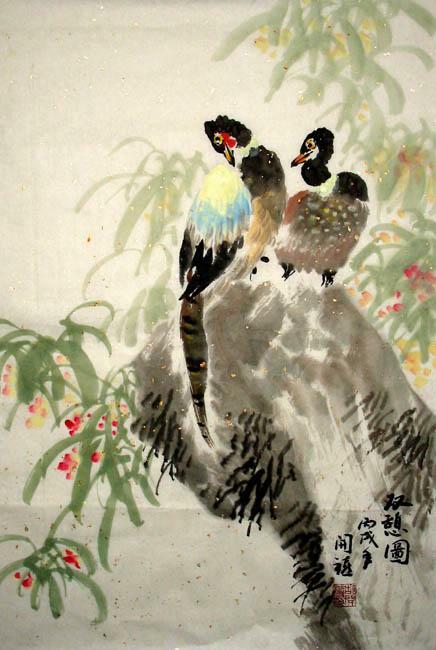 The Chinese term for "landscape" ..
What do Pheasants Represent in Chinese Painting? Pheasants belong to the Phasianidae. They have colorful and gorgeous feathers, and they are one of the rare species ..
Chinese vegetables paintings include calabash, cucurbit, bottle gourd painting, Luffa, loofah painting and Pumpkin painting. Chinese fruits paintings include persimmon painting, mandarin orange painting .. 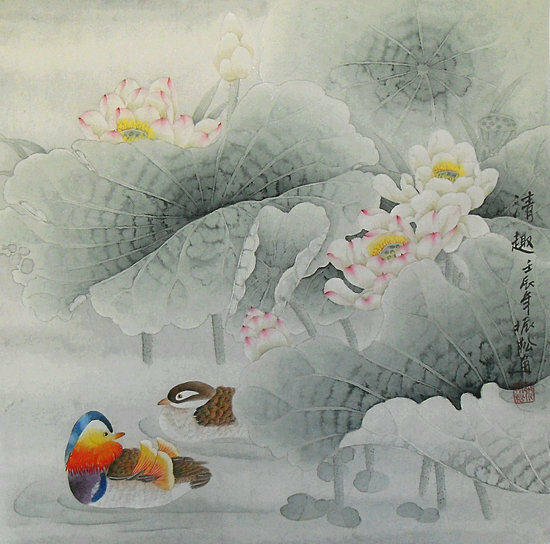 This entry was posted in Birds and Flowers, Chinese culture, Chinese Paintings and tagged Birds&Flower painting, chinese art, Chinese Paintings, Mandarin Dark. Bookmark the permalink.